If Narm can admit to wearing “Secret”, then I can admit I’ve sold out, I’ve joined the cult, given into the establishment. I can’t claim I don’t drink caffeine anymore. I’m addicted to Starbucks’ Tazo® Chai Tea Latte. 1.) I hate tea but it doesn’t taste like it. 2.) I hate the swarmy cliquey world that is Starbucks. 3.) I love the Chai Tea Latte. 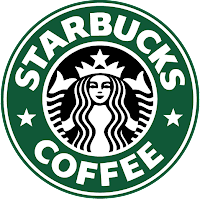 Now, when I see a Starbucks I can no longer roll my eyes (a common practice of mine) I now want to pull out my debit card and get some liquid happiness. The Chai Tea Latte (God, am I really typing this?) puts me in a good place, makes me think of great things. Can something that comes in three different sizes honestly make you feel this good? Great, just what I need a trip to Target and a stop at Starbucks on the way out. Hell, I think I’m going to pick up a “Secret Powder Fresh” the next time I head to Steelyard.